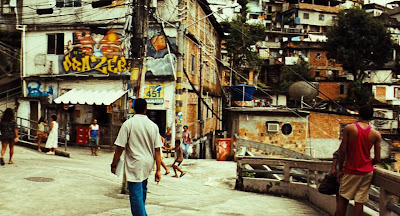 For decades, the South American metropolis of Rio de Janeiro, Brazil, has clocked in as staggeringly lethal. Its violence-scarred and blood-strewn favelas are regularly patrolled by crazed drug gangs whose open-fire battles with police often spread out onto the main thoroughfares and turn ordinary civilians into casualties. In response, the Brazilian government formed a crack paramilitary force known as the BOPE to take matters into its own hands. 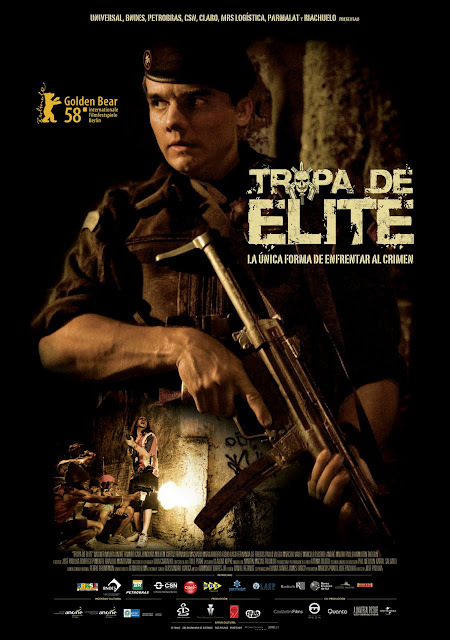 Elite Squad is a Brazilian film directed by José Padilha, his first dramatic feature. 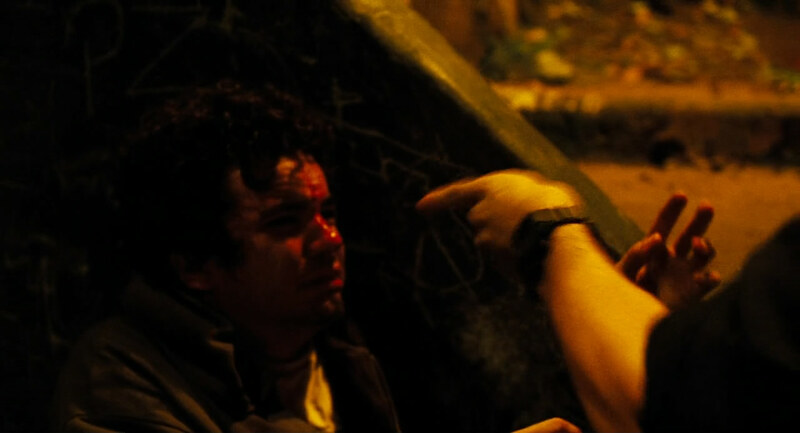 It screened at the 2008 Berlin Film Festival, winning the Golden Bear for Best Film. 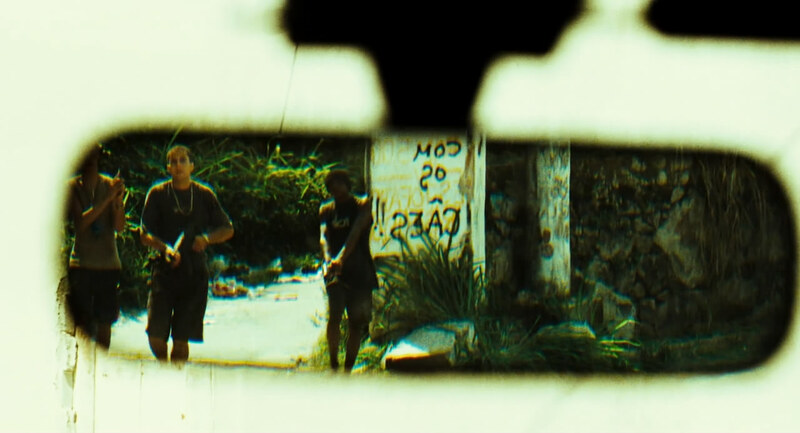 A slick and frenetic action film based on the BOPE (Batalhão de Operações Policiais Especiais), a special military police division operating in Rio de Janiero. The film centers around senior officer Captain Nascimento, and the two recruits he is grooming to replace him, Neto and Matias. 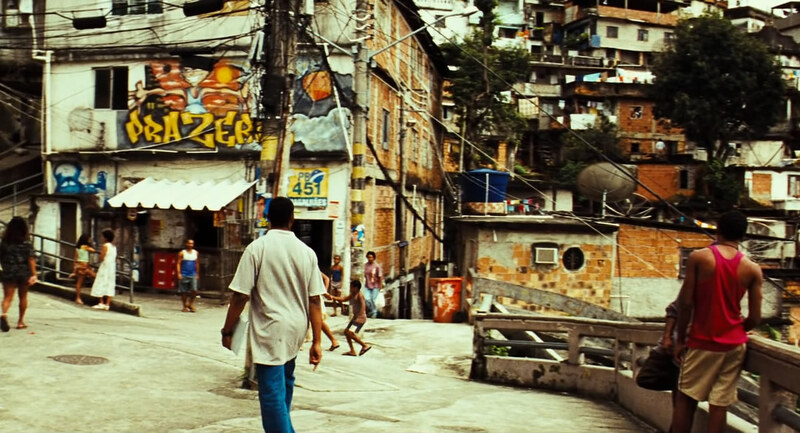 Padilha takes us through the slums and the main city, outlining the widespread crime and corruption that affects all walks of life perpetrated by the street gangs and the police and also shows us the grueling dehumanizing training camp that the recruits must pass to join the BOPE. It all sounds and looks good but the message is an ugly one. There is a lot of senseless and detached violence, reaching the scale of a Stallone film, with plenty of brutal acts perpetrated by both sides of the law and several random bodies dropping with no emotional resonance. Also, the film is narrated entirely by the Captain's voice-over, presumably retelling past events from the present, but his borderline fascist behavior and simplified point of view can be difficult to take. There's no grey area for him; Rich kids partaking in drugs are at fault for all the crime and death, torture is the most efficient way to interrogate for information, and all cops are either dirty bribe takers or otherwise emotionless killing machines. Aside from that, José Padilha definitely shows some promising talent as an action director, the gun fighting sequences are exciting and well executed with some stylish editing, excellent sound design, and camerawork that utilizes the super saturated look that's currently in fashion. 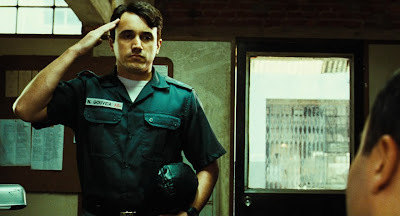 Also the acting performances are all very strong, even if the screenplay with all its jumping around, fails to really get us emotionally invested in the characters. Stay tuned for the sequel, Brazil's entry to the 2012 Oscars, coming up in tomorrow's post. Hot Fuzz from Simon Pegg. There is a sequel that just came out, maybe you are thinking of that. It is pretty intense, but there's not a lot of acrobatic running around, just bullets flying. I'm afraid I don't get that reference. 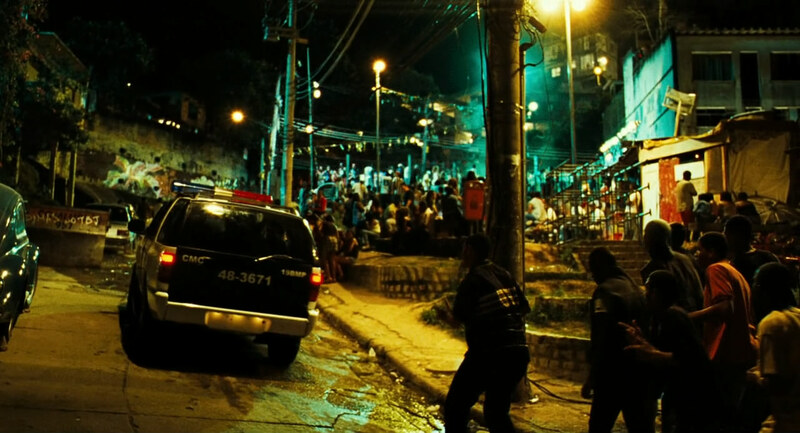 Yeah it does have that in the streets look to it, but it's also got that high gloss color palette that Michael Bay is fond of. It is worth seeing though. The sequel is a much better film. I recommend it. Yeah I think you would like this. Looks pretty intense. I don't know why, but a few seconds of that clip reminded me of District B13. I'm sorry, had to get that out. I'm all for an action movie right now. Sounds like a good one for the action mood. I'm usually not looking to get attached for action anyway, it'll work. Cool choice, clip and critique! 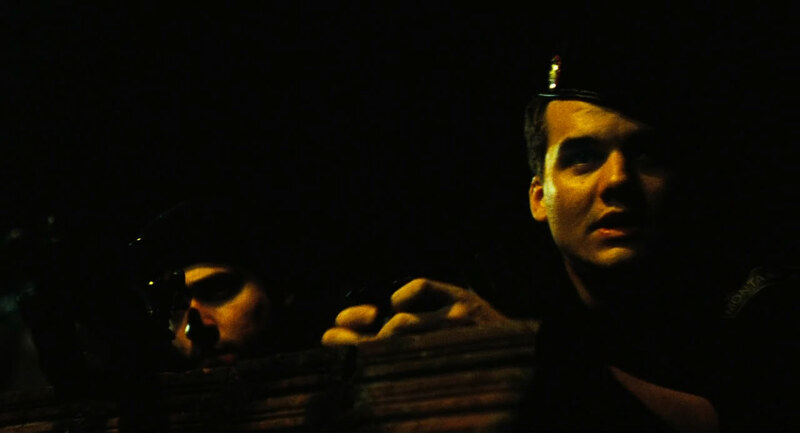 'Elite Squad' has an updated, grimy, near claustrophobic, 'The Battle of Algiers' look and feel about it. 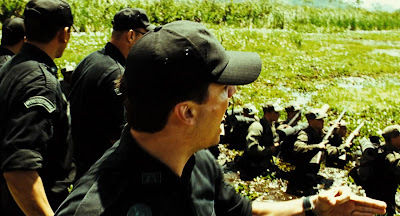 Especially in the pursuit and interrogation scenes from the clip. I might have to go out of my way to find and watch this one. I was interested until you compared it to a Stallone film. Although I do normally appreciate mindless violence. I saw it last year and enjoyed it, but I had a hard time liking Nascimento. It did have great action though, and I'm looking forward to checking out the sequel. This is something I would like to see.